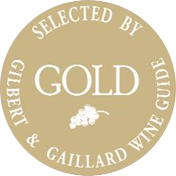 Gold Award Guide Gilbert and Gaillard 2012, dry and fruity with a beautiful minerality and longevity in the mouth, the balance is perfect to delight typified Riesling lovers. This wine can perfectly accompany carpaccio of scallops and dried tomatoes or St Jacques truffles but also a pork “filet mignon” or a white meat. 2009: an exceptional and powerful vintage which allows the wine to blossom over time. 10 years cave. Selected by the Guide Hachette 2010; gentle, fruity, with a beautiful longevity in the mouth, a smooth and elegant Pinot Gris which harmonizes marvelously with an Apricot Crumble, a “crème brulée” and passion fruits, with “foie gras” or simply at the aperitif. 2007: a vintage that will turn out to keep well for 3-4years. Selected by the Guide Gault and Millau 2012, a floral, exotic, soft wine with a beautiful matter and an interesting minerality. It can perfectly accompany a foie gras with onion confit, an iced log of gingerbread or red berries, or simply to the aperitif. 2009: an exceptional and powerful vintage. 10 years cave. Gold Award at Gewurztraminer of the world and selected by the guide Bettane and Dessauve 2012; this exceptional wine will surprise great gentleness lovers and the most refined palates. The wine is ideal with a copious desert like a chocolate cake, a-three-chocolate fondue or simply to replace a desert. 2007: a vintage that proved its worth with unforgettable Vendanges Tardives (late harvest) which turn out to keep well. 10-15 years cave. Elegant nose, rose petal, fine spices, fruits with white flesh. Voluptuous attack, beautiful exuberance which develops clearly in favor of spices. This wine can perfectly accompany spicy food, blue cheese or can simply be drunk at the aperitif. 2011: a vintage where the winegrower’s work has been determining to handle climatic variations: control the dryness of spring and the hot temperatures during the harvest associated to the sorting during the harvest. For us it has been a factor of success for this vintage. Nose sophisticated by a great sharpness, white peach, exotic dimension on the pineapple and the licorice. The palate reveals a structured, greedy, spicy wine which expresses with exuberance, carried by a delicate vivacity and a powerful minerality. Ideal for an aperitif or to accompany a foie gras. 2010: The fruity and fresh wines of this vintage fully express characteristic which is also recognized by Alsatian wines and could point to a nice evolution. The know-how in the cellar has been crucial (maturating on fine lees indeed) to improve the balance in wines. Complex nose, on the white peach, exotic fruit, a slightly mineral touch and a roasted note. Round on the palate, voluptuous, concentrated, dried grape, candied pineapple, mango, great spices. Wonderful wine. Can be served as an aperitif wine, or to accompany greedy deserts with chocolate. An Intense nose with dominance on the apricot, the Mirabelle and some notes of honey. The attack on the palate is round on the yellow fruit, the wine variety, balanced by a beautiful minerality, a gastronomic wine. The wine will be perfect with a foie gras or simply to savor with friends. “The best Muscat of this edition, born under about sixty ares of clay-limestone. Light yellow with green reflections, the wine delivers an intense and elegant bouquet of fresh fruits with floral notes. The palate, which is first tensioned from the attack turns out to be crunchy as wished, fine and long, softened by a touch of residual sugar (6g/L). A harmonious and flattering wine.” Ideally served at an aperitif, with asparagus, salmon with sorrel. Even if its gold dress shows some orange reflections, the nose stays very discreet, playing on floral, candied, honeyed and roasted notes. This liquorish taste appears in the mouth as more intense without being too concentrated. You will appreciate its full-body, its roundness and its beautiful acidity which highlights the finish. You will find the aromas of roasted, associated to intense shades of over-maturated again, which reminds of candied fruits. It will marvelously harmonize with a foie gras, or a desert with yellow fruits. This Crémant rosé with a softly orange dress, has no shortage of assets, indeed with its nose of generous fruits shaded by roasted notes and with its palate well-balanced between roundness and freshness, fruity and long. Recommended with a chicken Colombo by the Guide Hachette. Expressive nose, mineral accent on a background of citruses (orange, grapefruit) over ripened. Rich mouth where the same aromas express generously and precisely. Beautiful Riesling marked by its terroir. This wine is recommended with not only fish but also sea food and crustacean or white meat and gravy, or hard cheese like compté. 2013: a difficult vintage with a small harvest. Crémants d’Alsace are some of the most enormous successes of this vintage. It has also made excellent still wines, balanced and generous in fruits. Pinot Gris and Gewurztraminer are particularly fresh with a controlled level of alcohol, meaning that the balance is perfect for a gastronomic use. Pinot Noirs have a nice color and are well balanced tannin/acidity. Pleasant nose reminisces yellow stone fruits (peach, plum), smoky touch. Supple attack, soft and fleshy mouth which brings shades of spices with an exotic range. Successful expressive wine. Ideally served to accompany a foie gras, but also simply with an aperitif for the true gourmands. 2012: A great vintage for Alsatian wines. It is worth pointing out the high quality of all the Pinots. Pinot Blancs are very fresh and aromatic. Pinot Gris which are the winner of this vintage got a special mention for with beautiful balances alcohol-acidity. The Muscat presents fruitiness and crispiness. Gewürztraminers have been harvested at an optimal level of maturation which gave room and space to own balance, to gastronomic wines. They combine freshness, fruitiness and spicy notes.